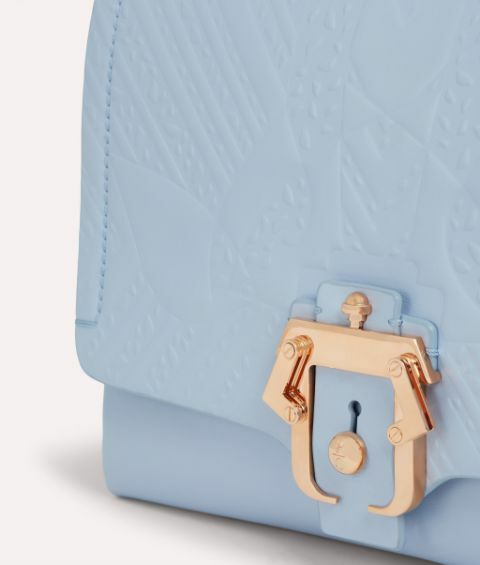 The Petals pattern perfectly showcases Paula Cademartori's creative, feminine side and its beautifully showcased as an embossed finish on the ultra refined Alice bag. 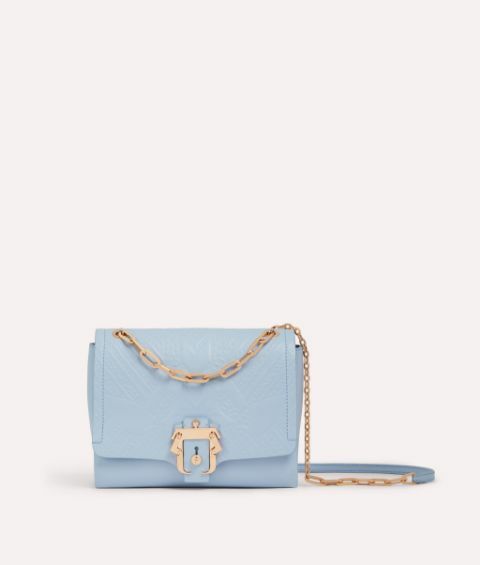 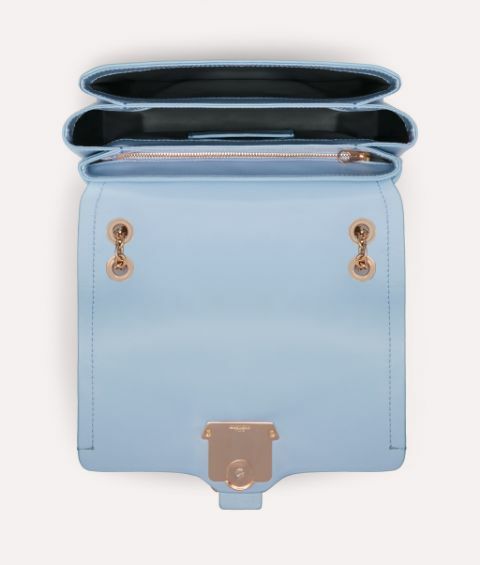 This crossbody piece is immaculately crafted in Italy from the finest leather in a powder-blue hue, set off with gold-tone hardware. 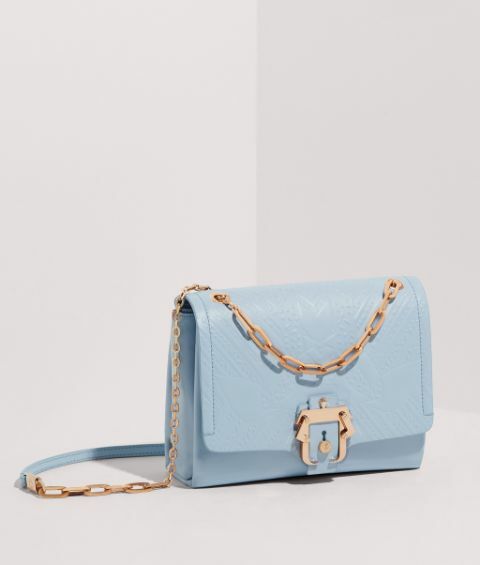 The mixed-size links of the chain strap and signature geometric buckle keep this ladylike piece cool and contemporary.